The sentiments expressed through emojis can be used to identify brand advocates and improve customer experiences in real-time. Emojis have emerged as a new form of communication. From simple emoticons to a pictographic language all its own. Indeed, depending on the region, emojis can account for up to 60 percent of text on Instagram, and they are being used to tell stories and send hidden messages to those in the know. Even brands have even caught on, with 35 percent of the Interbrand 100 using emojis in their captions, according to data from Simply Measured. But R.J. Talyor, vice president of product management at local social intelligence software provider Geofeedia, says emojis can also be used as a listening tool, for brands to take action and create better customer experiences in real time. About 24 percent of posts include emojis. We know that consumers are able to communicate a lot with a single emoji that they may or may not have communicated in text. While emojis can be used as folksonomic organization similar to hashtags, Talyor said emojis are also used to express sentiment among consumers. For instance, if someone has a positive experience, they might use a happy face or celebratory emoji. If they’re unhappy with their experience, they might use the frustrated or angry emoji. And for brands that listen closely, emoji communication present an opportunity take action on the ground. Talyor said emojis are particularly useful for identifying actionable insights at a local level. Geofeedia has an alert system that allows brands and marketers to listen to places of interest–store locations, restaurants, malls, etc.–and because they’re receiving an alert, they can alert the store manager to take action. Maybe there’s a long line, or bad customer service, people are being rude or the store is dirty; they can take action on that immediately and improve the experience for everybody else. I think there’s a lot fear or the feeling that this is just a ton of work. [Using the right tools] makes it really easy to surface those items that are of particular concern, then you can apply a customer service resource or assign anyone responsible for customer experience to reply to these communications where customers are having bad brand experiences in real time. 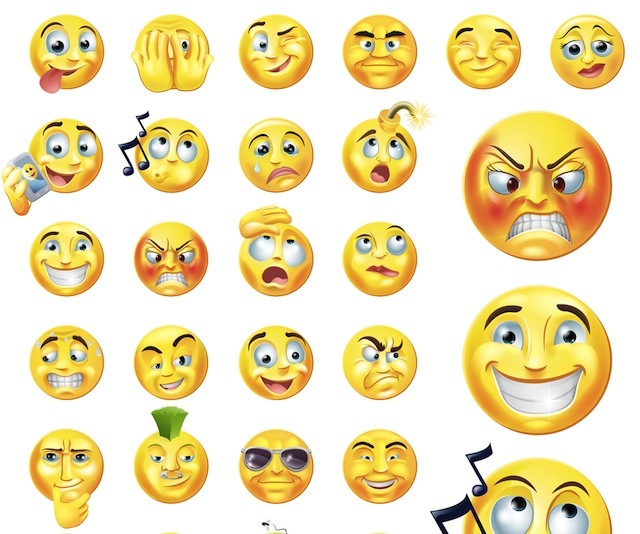 Readers: How often do you use emojis?